Dallek was granted almost unprecedented access to Kennedy family documents including newly-revealed information relating to JFK’s seemingly endless array of medical ailments. Dallek also convinced a former Kennedy administration press aide to release new information concerning an affair between JFK and a White House intern. Some of this fresh primary source material underpins the book’s earliest chapters which describe Kennedy’s youth: his fascinating family lineage, his privileged childhood, his persistent medical issues and his unwavering penchant for “womanizing.” But readers seeking a sensational JFK exposé are likely to be disappointed. While the early narrative provides a devastating indictment of Kennedy’s ill-formed moral core, Dallek is predisposed to focusing on politics over prurient predilections. This biography is long on hard history and avoids allowing Kennedy’s indiscretions to hijack the narrative. The author’s skillful dissection of JFK’s complex medical situation, however, does pervade the text. Once Kennedy begins his political career in 1946, the spotlight shines brightest on his “public” rather than “private” life; his family recedes into the background and there is surprisingly little coverage even of Jackie. More than half the book is reserved for Kennedy’s 1,036-day presidency and Dallek’s style is consistently serious, sober-minded and impressively objective. Not surprisingly, discussion of Kennedy’s presidency is dominated by US-Soviet relations, Cuba and Southeast Asia. With the exception of civil rights (where the author is often critical of Kennedy’s leadership failures), domestic issues receive significantly less focus. But this is reflective of Kennedy’s own interests and emphasis. While the biography is almost always engaging there are occasions during Kennedy’s presidency when the narrative bogs down and becomes tedious. But this is generally the fault of cumbersome foreign policy issues facing Kennedy at the time rather than with the author’s writing style. In addition, JFK’s assassination is described in just a single paragraph with no lens on the transition of power to LBJ. The ensuing pages consider the impact of Kennedy’s death on his family and on the country but, for many readers, history will seem to stop too abruptly at the moment of Kennedy’s death. 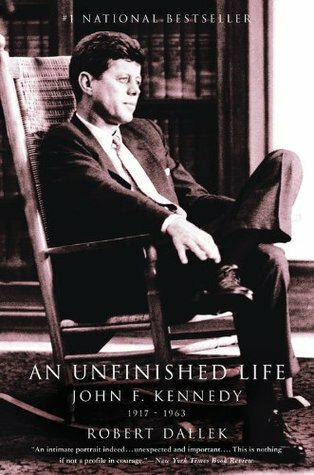 Overall, Robert Dallek’s “An Unfinished Life: John F. Kennedy, 1917-1963” proves an excellent introduction to the life and death of the thirty-fifth president. Some readers will find discussion of Kennedy’s medical afflictions strangely pervasive; others will be surprised not to read more of his lewd behavior. But, in general, Dallek’s biography covers John F. Kennedy’s life thoroughly, thoughtfully and with extraordinary balance and objectivity. I’ll be curious to see whether more recent books prove anything really more revealing. Kennedy seems to be impervious to new insight as opposed to re-fighting decades old battles between those who were personally enamored of him and those who take a less personal, more objective view. Perhaps it’s because there has already been so much written and his presidency was relatively short, but I suspect so long the primary documents remain under the family’s control there’s not really any point in a serious historian trying to write a new biography of him. Excellent review. In my opinion Unfinished Life is the best bio of Kennedy to date. Being granted access to the medical files was certainly a great coup. I give Dallek immense credit for leaving the lewd behavior and assassination aftermath. There are certainly plenty of other sources for those truths, rumors and conspiracies. You will find Caro’s account of the transition in Passage of Power to be quite definitive. 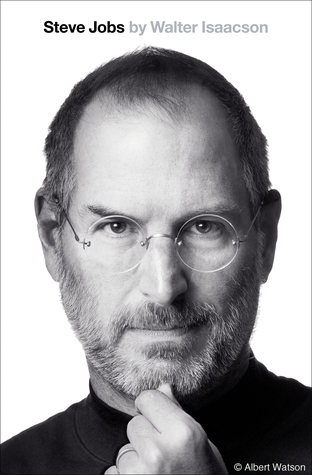 I read this biography years ago and really enjoyed it. Thanks for sharing your insights. FYI, Dallek is coming out with a new FDR biography in November. Given his previous work on FDR and his experience with presidential biography, I have high hopes for it. – Hail to the Chief, which is an overview of a few different presidents and the qualities that made each successful or not. Continuing to enjoy your reviews of these books. I’m very interested of your thoughts when you get to LBJ and Nixon! I have probably read more about LBJ and Nixon than any other presidents [save Washington and Lincoln} A lot of good books on Nixon but Caro’s LBJ is terrific. Dallek’s two LBJ books are well worth reading also. LBJ and Nixon have been at least to me a lot more entertaining to read about than JFK has been. Enjoy. I’ve been surprised at how colorful JFK’s life was (and how underwhelming his presidency was in many respects) but once you get past the soap opera element of it there’s really not much there. A huge contrast with Washington and Lincoln (just to name two) where there is much more substance…. And very much looking forward to Nixon and esp. LBJ! I know the LBJ people over the years have been critical of Caro’s bio’s but reading those books have made me admire the man. I’ve read them through three times now- looking forward to the next volume. I think you will enjoy them… Nixon is also a fascinating character and a number of books [including a new one I haven’t gotten to yet} on him. Just finished this one last week. The medical detail is comprehensive and gets in the way at times, but I presume that’s a result of so much of it being new information? Regardless, I thought it was an excellent book. JFK’s relationship with the military and the Pentagon I found absolutely fascinating. It’s amazing we managed to live through some of these times, especially with commanders who were so sanguine about using nuclear weapons. Dallek definitely suggests that Kennedy would have handled Vietnam differently than his successors did, and it seems likely from what was quoted here that he had a more clear-eyes view of the situation than most. I have to wonder if some of that is due to his WWII experiences; he faced combat ops in a way that LBJ or Nixon never came close to and you have to wonder if that experience and his own confidence in foreign policy and national defense would have enabled him to go a different route. However, contrast that with policies for central and south america and again you have to wonder if things would have been different in truth? Unknowable question, but it’s one of the reasons that Kennedy continues to fascinate. Very well said, and this remains my favorite book on JFK. Of all the presidents I’ve read about to date I think JFK is the one who, for all the attention he receives, remains captivatingly fascinating – and elusive. I guess I was reading a different than all of the reviews listed above. I was very disappointed with this book and, unusual for me, gave up after 522 pages. I simply could not justify the time expenditure for another 200 pages. The minutiae concerning economic policy and even foreign policy for Latin and South America to me I think was unnecessary as opposed to JFK’s relations with DeGaulle, Ike, Krushchev, and his own generals. I would have appreciated more about Kennedy the person and less about his policies. I think you get a sense of some of the things that shaped JFK including his competition with his older brother, the relationship with Kick which was hinted at but should have been discussed in more detail, and his father. This to me was much more interesting than the rest of the book, the essence of which you can get from a much shorter and painful podcast wherein Dallek discusses JFK and this book. In general, this book to me was a waste of time and I would not recommend it. In my opinion, Dallek’s ability to tell a story is not in the same league as a Robert Caro, and based on this JFK book, I am considering not reading Dallek’s Flawed Giant.